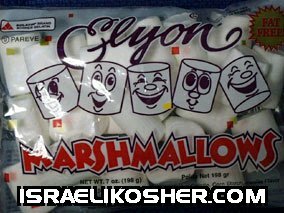 elyon kosher marshmallows are made with kosher fish gelatin. these marshmallows taste very good and will perform very well in your favorite recipes. 7 oz. product of israel.